A 3 bedroomed end of terrace property which is currently let by way of a Regulated Tenancy producing £3,484.00 per annum. The property benefits from double glazing and central heating. 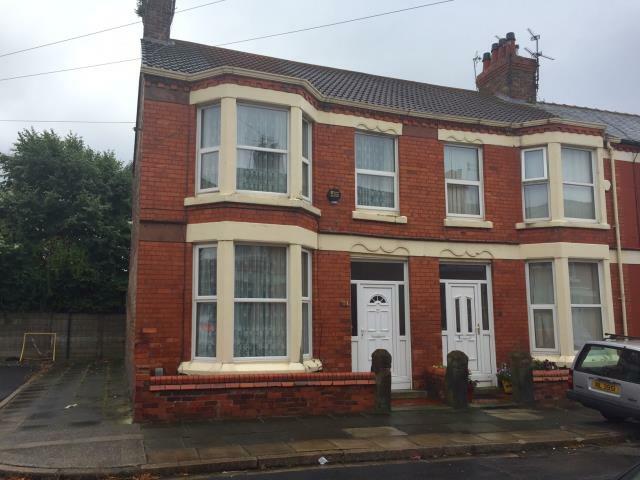 Off Smithdown Road (A562) in a popular and well established residential location within walking distance to Allerton Road amenities and the Mystery Park. Hall, 2 Reception Rooms, Kitchen. 3 Bedrooms, Bathroom/WC, Walk in Shower.